Dutch artist and gearhead Diederick Kraaijeveld has a unique use for your painted scrap wood. The sculptor takes pieces of discarded wood and recycles them into photorealistic mosaics of cars. That’s right, he doesn’t paint the wood himself. Kraaijeveld waits until he has just the right color of wood, and then he gets to work creating another masterpiece. The results are nothing short of breathtaking, as discarded wood comes back to life as automotive art. 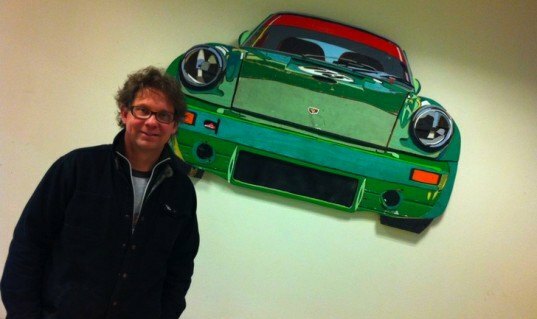 Kraaijeveld mosaics started as a hobby, but merged into his profession when he combine his past time of collage-making with his passion for vintage cars. He works predominantly from photographs, and each piece is hand carved and assembled using reclaimed, genuine colored wood that Diederick scavenges himself during trips Holland, where he lives, and during his travels around the world. Often the materials come first, then he waits until he has just the right idea to turn them into something new. Dutch artist and gearhead Diederick Kraaijeveld has a unique use for your painted scrap wood. 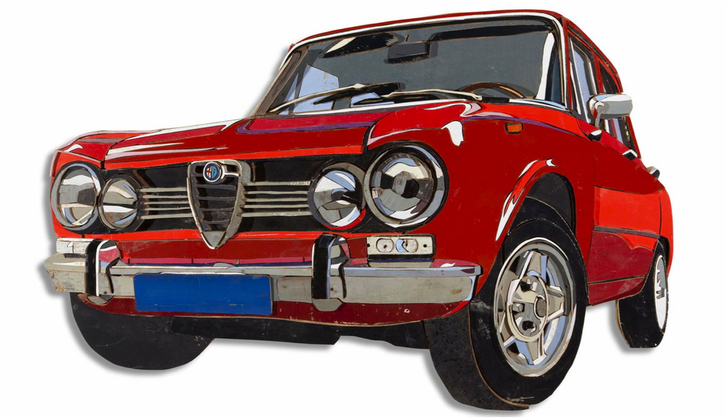 The sculptor takes pieces of discarded wood and recycles them into photorealistic mosaics of cars. That's right, he doesn't paint the wood himself. Kraaijeveld waits until he has just the right color of wood, and then he gets to work creating another masterpiece. The results are nothing short of breathtaking, as discarded wood comes back to life as automotive art.